The key to mastering a skill is repetition. The University of Michigan’s “ping pong rotational games” promotes multiple reps in each rotation. 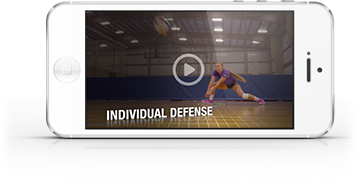 Developed by Head Coach Mark Rosen, this game-type drill sets up with 2 sides of 6 players. Each side serves and receives 5 balls in a single rotation. After playing to 20 points, both teams rotate and start over with 5 serves and 5 serve receives. This continues until teams have been through all 6 rotations. Watch to see how it’s done. Also in this video, Rosen shares his thoughts on why it’s important to track and share daily practice stats with players.